Good evening guys, is your little one book mad like our little girl? If the answer is yes then stick around as you may just be able to get your hands on one beautiful illustrated children's book in my latest giveaway. 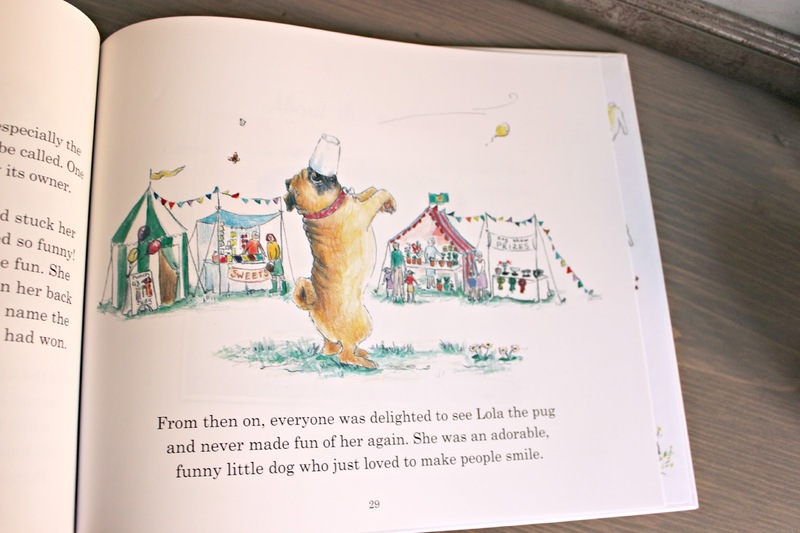 I was kindly sent a really cute illustrated book all about a rather adorable little Pug called Lola. 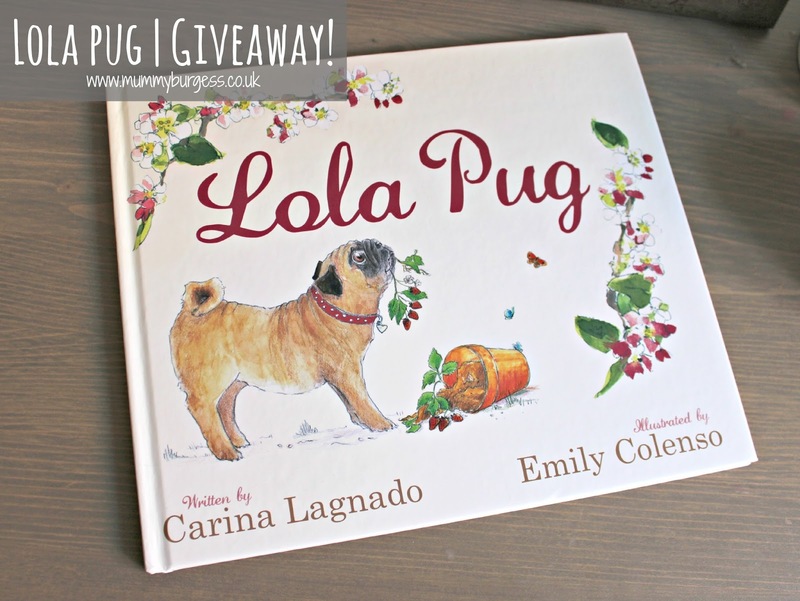 Lola Pug is a story is written by Lola's real-life owner Carina Lagnado and illustrated by Emily Colenso. It follows how a pet mad family that live on a farm and focuses on Isabel, who wants her very own puppy. But what kind of puppy? 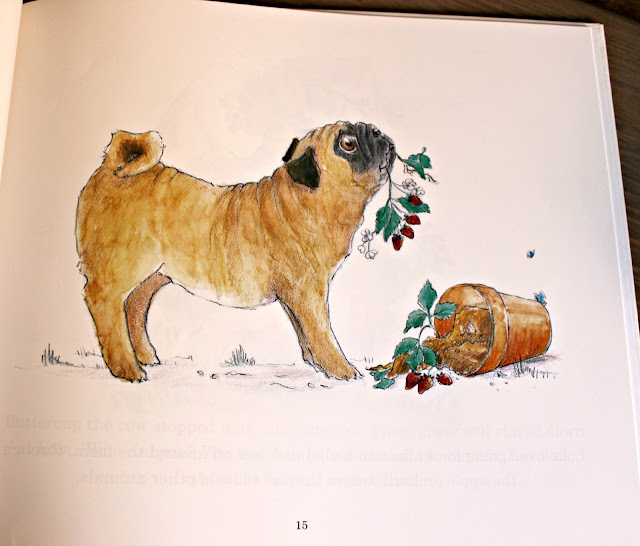 Isabel is introduced to a variety of dogs, until she chooses Lola, the delightful pug. This story is a perfect one for book mad children, especially those who are dog mad too! From a parental point of view it also touches upon the topic of bullying. Lola Pug, while loved by his new family, is mocked by the other animals on the farm. But the pug eventually wins everyone over just by being himself. Which is always such a great message for our little ones. Darcie, who has her own dog Lady, will thoroughly enjoy the book (just as much as I have) when we give it to her on Tuesday (her 3rd birthday!) and it will be our bedtime story that evening. Now to the exciting part. The lovely people behind this wonderful book have given you guys the opportunity to win one of three copies for your own little ones to treasure. If you would like a chance to get your hands one of three a copies, be sure to enter below. Competition closes on Sunday 7th June 2015.